Award-winning game design! The MUSE awards celebrate scholarship, community, innovation, creativity, education and inclusiveness. 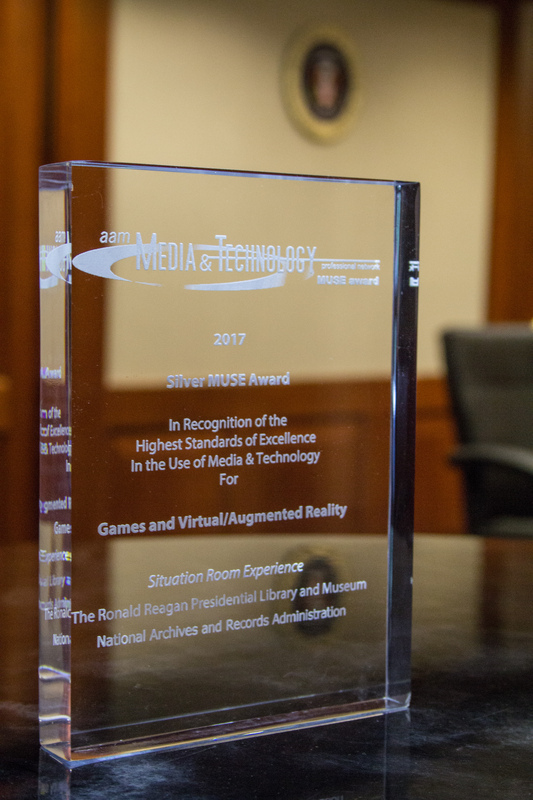 The Reagan Library was presented with the Silver MUSE Award in the category of Games and Augmented Reality on Sunday, May 7, 2017, at the 2017 American Alliance of Museums Annual Meeting in St. Louis, Missouri. This award recognizes high achievement in the application of media and technology to Gallery, Library, Archive, and Museum (GLAM) programs. Now in its 28th year,the competition is administrated by the American Alliance of Museums Media & Technology Professional Network.